A full basket of beautifully soft, deeply colored avocados accompanied me home from the farmers market one Sunday afternoon, begging to be turned into something sweet. Avocado may just be one of my favorite dessert features, especially when there’s a little chocolate involved. 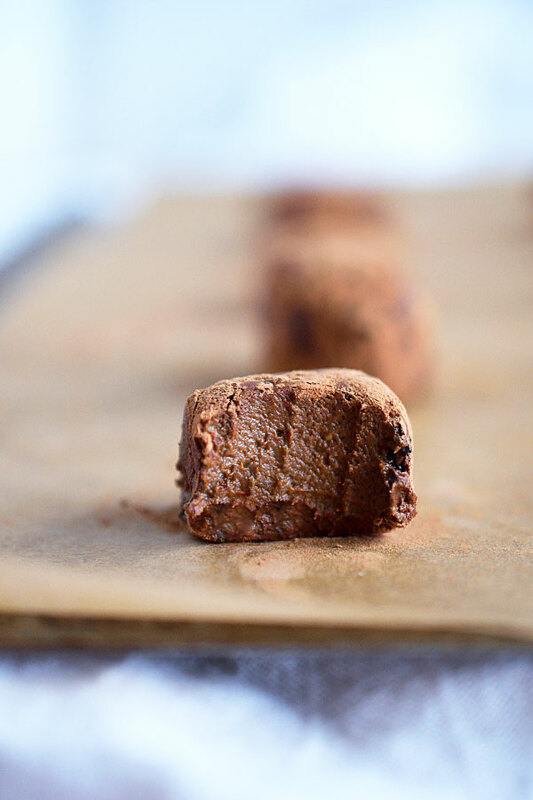 My 4-Ingredient Avocado Truffles were born… The perfect vessel for raw cacao powder and date paste to build a creamy-like-butter, melt-in-your-mouth, “holy smokes these are good for me?” moment. 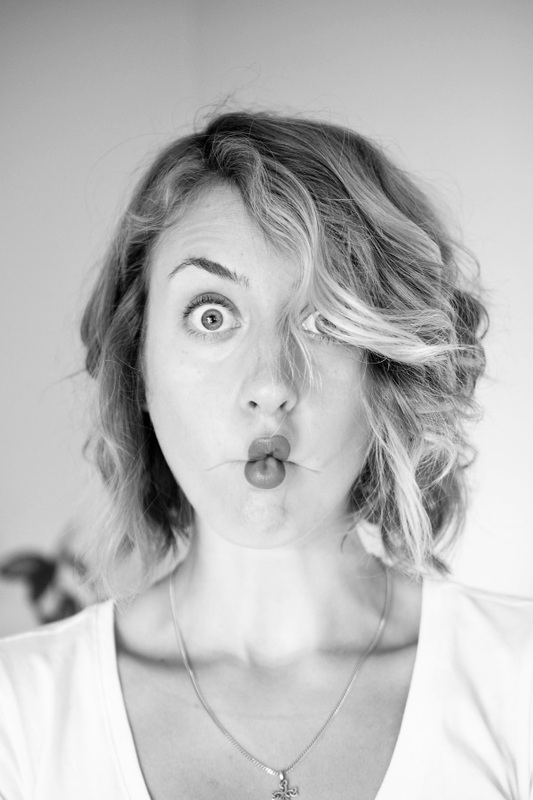 “ooooh man…” (my gold standard for foods that blow my mind) flows out of my mouth without hesitation. A pinch of sea salt provides just the right amount of contrast to enhance that deep cacao. Blend avocado to reach a smooth consistency. 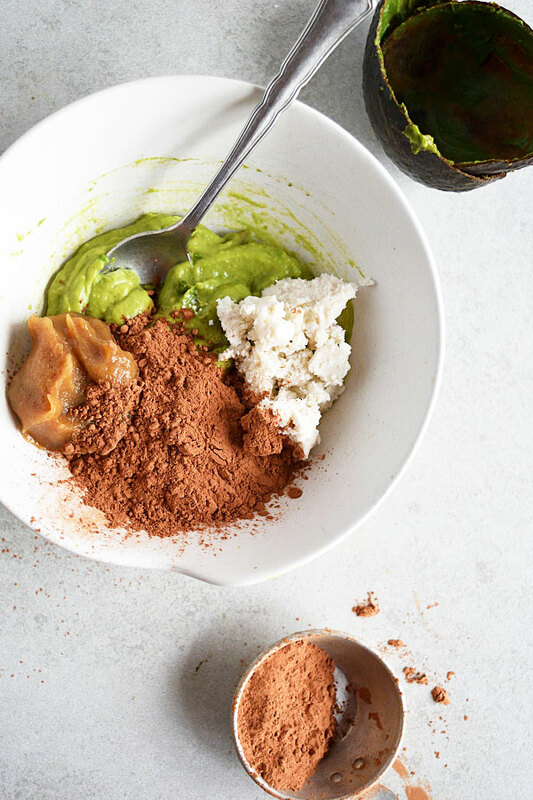 Begin adding date paste a spoonful at a time until the avocado has become sweet, and mix in cacao powder, starting with a few spoonfuls, until desired chocolate richness has been reached. The coconut butter (or oil) helps the avocado mixture solidify once chilled, so add at least a spoonful. Only a small amount is needed to help this process, and without it, the truffles may remain on the softer side. 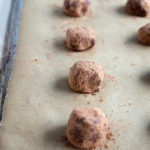 Follow the process of rolling into balls and coat in the cacao powder the same as recipe below. In a high-speed blender, add scooped out avocado, a few dates, cacao powder, and butter. Blend on high until smooth, using minimal amount of water as possible to help blend. Taste to make sure it's sweet and chocolatey enough. Add additional, a little at a time, until desired richness. Here you have "avocado pudding." Place bowl in the freezer for 15-20 minutes, or in the fridge about an hour, until the mixture has firmed up. 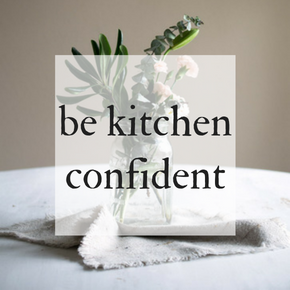 While setting up, line a baking sheet with parchment paper or use a silicon mat. Sprinkle a plate or the counter with enough cacao powder to have a thin layer. Sprinkle in a pinch of sea salt if desired. When the avocado mixture is solid but still slightly soft, remove from freezer. 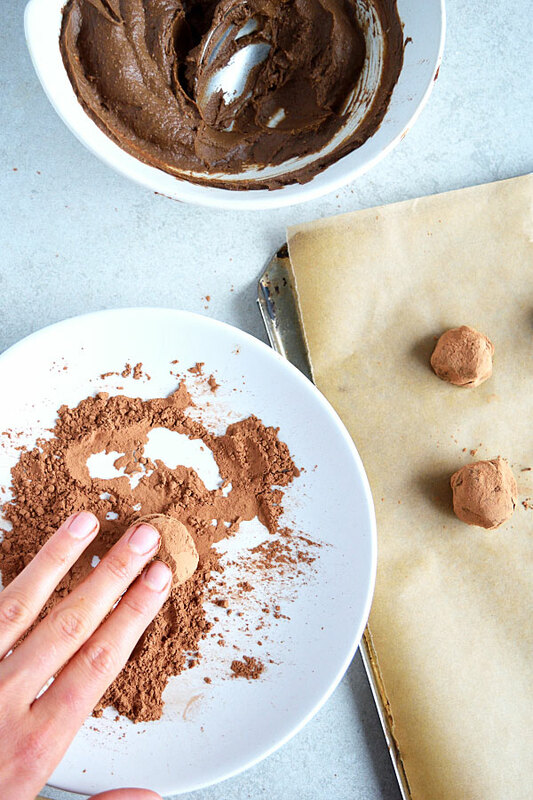 Using a spoon or your fingers, scoop desired amount in order to create the size truffle you want, and lightly roll between fingers. It may soften quickly, so as soon as it comes together into a decent ball, roll around in cacao powder. This will help shape. Place on lined baking sheet. Continue rolling truffles until all the mixture is used. 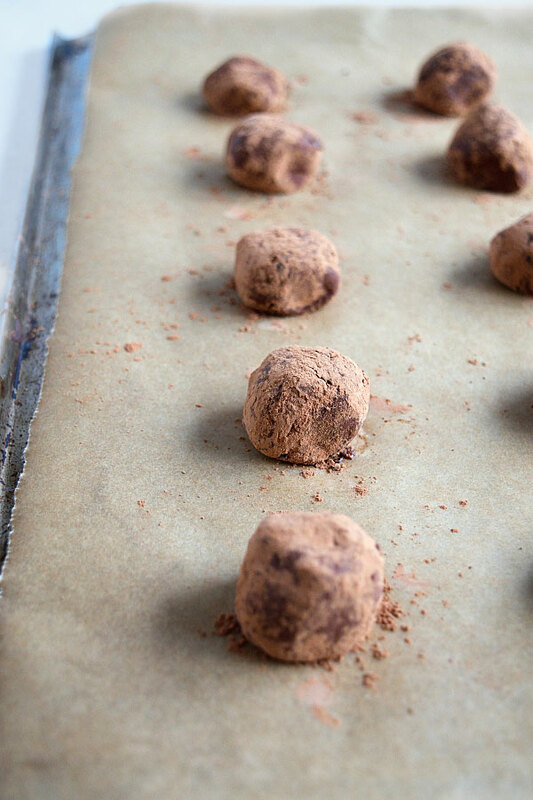 Place tray of truffles in the freezer for at least 15 minutes to solidify to desired firmness. Keep in the freezer and pull out to soften several minutes when desired! Enjoy!